On September 4, Samsung will reveal its hotly anticipated Galaxy Note III phablet at the company’s “Unpacked Episode 2” event in Berlin. As is the case with major tech releases, rumors continue to swirl as the clock ticks closer and closer to the handset’s official debut. Earlier today, South Korean newspaper Korea Economic Daily published the latest rumor involving the Note III. Citing an anonymous “industry official,” the newspaper claimed that the handset’s camera will be upgraded to support 4K video – also known as Ultra High Definition (UHD). “The company is likely hoping that offering up an opportunity to record in 4K will mean those smartphone owners are then more likely to upgrade their TV sets to make the most of their crisp video content,” said Engadget. Samsung recently launched its own 55 and 65-inch 4K TVs – which retail for $5500 and $7500, respectively. Previous rumors suggested that the Note III’s new camera would include Optical Image Stabilization (OIS), but it appears that Samsung will be passing on that feature. 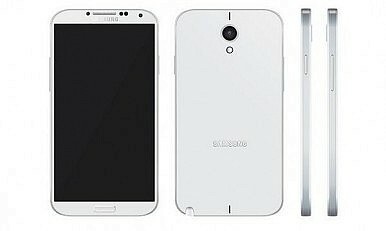 The camera is likely to be very similar to the 13MP shooter found on the back of the Galaxy S4. Perhaps the ability to shoot video in 3840 x 2160 pixel resolution will help consumers forget about the lack of OIS. The ability to shoot 4K video may soon become a standard feature of flagship smartphones. The upcoming Sony Xperia Honami (also known as the i1 and Z1) is rumored to include 4K video via its 20MP rear-facing camera. Additionally, the Korea Economic Daily source stated that the Note III will come with 24-bit/192 kHz Hi-Fi audio playback. This would put playback sound on par with Blue-ray discs, which also support up to 24 bits per sample. In contrast, CDs only provide 16-bit playback. On top of the high-end video and audio functionality, the new Note is also rumored to get an aesthetic upgrade – a pink color option alongside the usual black and white.